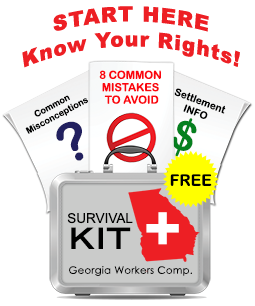 Why is the Georgia workers compensation system so adversarial? As an injured employee you only have to prove that you were injured on the job – you do not have to prove negligence or any other fault on the part of your employer. Does it make sense that employers and their insurance companies fight so hard to deny claims? It may not make sense, but employers and their insurance companies do contest claims, even those involving injuries that were witnessed and where all treating doctors diagnose a severe problem. I received a call from another potential client who had a serious neck injury. The insurance company would only authorize a hand specialist. After I was retained, we asked the ahnd doctor to authorize a neck specialist, which he did. The adjuster continued to refuse to authorize payment for the neck orthopedist. Only after requesting a hearing and getting a defense attorney to look at the case was the neck specialist approved. This is a video from a TV news report in Michigan but the issues raised are the same as what we face here in Georgia. Workers’ compensation insurance companies frequently send claimants to “independent” medical examinations that result in bogus diagnoses and unconscionable claim denials. I wrote about this issue on this blog back in February – this video clip shows the human tragedy that can occur when a claimant gets railroaded. What is a Deposition in a Georgia Work Injury Claim? What does it mean to be deposed in your Georgia workers’ compensation injury claim? Should you be concerned if you have to testify at a deposition? Under Georgia law, both sides – you, and your employer – are allowed to ask questions to the opposing side. Your lawyer, for example, may depose a witness to your accident, or we may depose your supervisor if there are questions about notice of injury. Your employer’s lawyer may ask you to sit for a deposition to ask you how you remember your accident, where you were hurt and how your medical treatment is progressing. Your employer’s lawyer may also use a deposition to ask you about your medical history, prior injuries, and your daily activities after your accident. Depositions take place in your lawyer’s office, so they are less formal than a court hearing. However, your deposition testimony is taken under oath and anything you say can be used later for cross examination purposes. This is why you should always prepare for your deposition by meeting with your lawyer ahead of time so you will know what to expect. 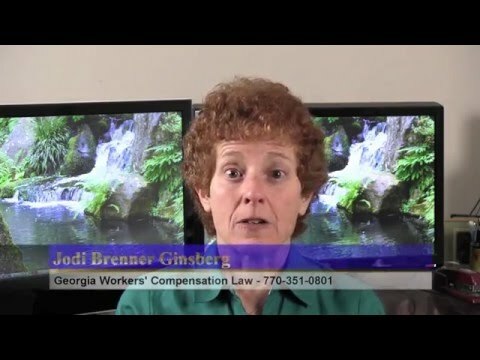 In this short video, I explain more about how workers’ comp. depositions work and what you can expect. Of course, if you would like advice about your case, I would be happy to help – please call me at 770-351-0801 or email me using the form on this page.